No other accessories or boxes are included. It has the latest Apple software / firmware installed and it was synchronized with the capacity for testing. Each individual part is benched and cleaned with isopropyl to bring it to a "new" state. iPod Classic. 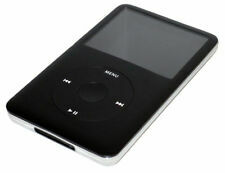 For sale is an apple ipod 160GB 7th generation MP3 Player for sale. Condition is Used. J us t th e iPod. A ge related ma rk s scratches. Product has had an OEM master reset and flash. iPod Classic. iPod Touch. iPod Shuffle. iPod Accessories. iPod Parts. We can best describe this grade as “well used but in fully working order”. We Repair iPods, iPhones and iPads! One year warranty for parts and labour included. No other accessories are included. Storage: 30gb ( can take up to 20,000 songs). It has the latest Apple software / firmware installed and it was synchronized with the capacity for testing. Each individual part is benched and cleaned with isopropyl to bring it to a "new" state. Item is in great condition and has a new battery fitted. Apple Lightning Genuine USB Charging cable. Apple iPod Classic Grey Black 160GB 7th Gen Generation - acceptable condition, quite scratched on the back, few scratches on the front. Check a HDD health on the picture. 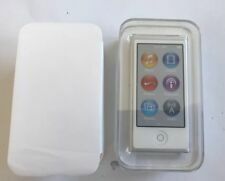 IPod Nano 7th Generation -Silver- 16GB. Great for listening to music on the go - Really popular iPod. 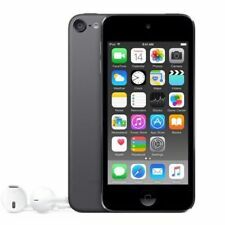 Apple iPod Touch 6th Generation 16GB Space Grey Grade B (See Details) 12 Months Warranty. Your friends will see it animate, just as ink flows on paper. iPod touch is the perfect way to carry your music collection in your pocket. Storage: 160gb ( can take up to 50,000 songs). It has the latest Apple software / firmware installed and it was synchronized with the capacity for testing. Each individual part is benched and cleaned with isopropyl to bring it to a "new" state. New other - Apple iPod Classic 6th Generation Silver / White (80GB). Storage: 80gb ( can take up to 30,000 songs). It has the latest Apple software / firmware installed and it was synchronized with the capacity for testing. MPN: A1367. Model: Apple iPod Touch. Generation: 4th Gen. Colour: Black. Heavy Wear & Tear On Back casing. Great service. Quickly resolved 1 small issue. Thx -R1dxn. (Condition is Used. Wiped and ready to use :). 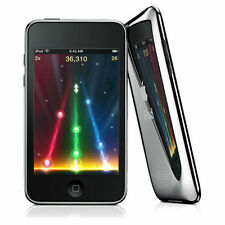 Apple iPod touch 4th Generation Black 8GB GRADE B WORKING BARGAIN PLUS WARRANTY. Normal wear and tear scratches etc. 6 MONTHS WARRANTY. This does have music already on it, mainly pop & rock.Advice is to only use a genuine Apple cable (not included) otherwise it might not connect to iTunes etc. 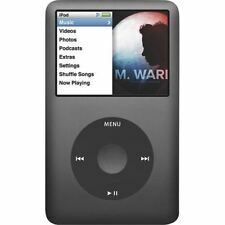 Apple iPod Classic 4th Generation - A1059 (non Colour) was originally a 20GB model, has been upgraded to 32GB. (SD card and Adaptor installed). This is not a fault with the Ipod its just what has to happen on these older devices. Excellent Condition, Screen Protector fitted ,Almost Mint - Check The Photos. Screen Response is Good, All Buttons Work As They Should, Battery Life is Good. Lots of music loaded -. Surf the web using Safari. Enhanced noise reduction and face detection makes for cleaner, more compelling portraits and scenic shots. th generation 128 GB AppleiPod touch. Driven by Apple's desktop-class A8 chip and 64-bit architecture, the 6. This is the rare 5.5 enhanced version which has the highly regarded wolfson DAC audio chip. The item is used so has general wear and scratches. The iPod has a Coca-Cola engraving on the back, this was A limited edition. 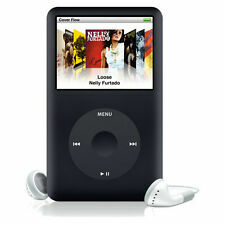 Apple MB565ZO/A 120GB iPod Classic 7th Generation - Black. Condition is Used. Dispatched with Royal Mail 1st Class. Very nice new screen and new back,good for present. This is the rare 5.5 enhanced version which has the highly regarded wolfson DAC audio chip. Apple Ipod Classic 6th Gen 80Gb MB147 Boxed extras AND HARD CASE. after a full reset and re install of itunes all loaded up with tunes of various sorts. if you look at the screen shots you will see i have put 3 folders of music, directly onto the ipod hdd so you will have to copy these to your desktop to decide what to do with them, you wont see them directly through the player or itunes ok.
Apple iPod Nano (6. th Generation) 8GB - Silver. Storage: 128GB UPGRADED SSD (can take up to 40,000 songs). • New Battery. Benefits of a SSD based iPod: Lighter than HDD. • Maximum battery life. • No platters to spin up (HDD). • Shock and impact resistance. For Sale: iPod Touch 6th Generation 16GB. 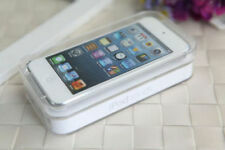 We have for sale an iPod Touch 6th Generation 16GB. Screen has light surface scratches. This may include dents/scratches/finish wearing off. Gadgets are tested under a strict policy before being listed, assuring perfect functionality unless otherwise stated. 4.5 out of 5 stars - Apple iPod touch 6th Generation Blue (16GB) - Good Condition! Boxed! Fast Del! 50 product ratings50 product ratings - Apple iPod touch 6th Generation Blue (16GB) - Good Condition! Boxed! Fast Del! The iPod reports capacity as around 240GB. This is normal (a 80GB drive would report around 74GB). Apple iPod Video Classic 5th Generation 256GB SDXC Conversion (Originally 80GB) Model MA450. The back has "256GB" etched onto it and a random serial number. The ipod touch is in very good cosmetic condition for its age. It has been well maintained over the years. Just general wear and tear. The ipod is in very good working order. The buttons and touchscreen all work as normal. The camera is in very good working order. The battery life is very good and lasts all day. 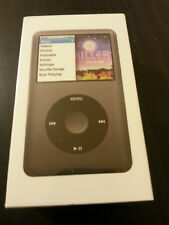 Apple iPod Classic A1238 80GB 6th Generation Black (E8)(12). Condition is Used. the Ipod works well, battery life is descent and lasts around 4-7hours. Only comes with a cable. No other accessories, hence low price. Own a piece of history, may be worth hundreds in 20 years. Dispatched with Royal Mail 1st Class. APPLE IPOD NANO BLUE 4TH GENERATION BLUE 4GB. APPLE IPOD NANO - BLUE. 4TH GENERATION 4GB. FANTASTIC IPOD! GOOD LUCK! • Storage: 120gb. Genuine ipod as new perfect Gift. • It has the latest Apple software / firmware installed and it was synchronized with the capacity for testing. Each individual part is benched and cleaned with isopropyl to bring it to a "new" state.